The Beriev Be-200 Altair (Russian: Бериев Бе-200) is a multipurpose amphibious aircraft designed by the Beriev Aircraft Company and manufactured by Irkut. Marketed as being designed for fire fighting, search and rescue, maritime patrol, cargo, and passenger transportation, it has a capacity of 12 tonnes (12,000 litres) of water, or up to 72 passengers. The name Altair was chosen after a competition amongst Beriev and Irkut staff in 2002/2003. The name Altair was chosen as it is not only the name of the alpha star in the Eagle constellation, but also because "Al" is the first part of the name of the A-40 Albatross amphibious aircraft, whose layout was the development basis for the creation of the Be-200, "ta" stands for Taganrog, and "ir" stands for Irkutsk. 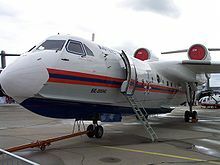 The Be-200 was designed by the Beriev Aviation Company, with the Russian Irkutsk Aircraft Production Association (now part of the Irkut Corporation). Beriev are responsible for development, design and documentation; systems-, static-, flight- and fatigue-testing of prototypes; certification and support of the production models. Irkut's duties comprise production preparation; manufacture of tooling; production of four prototypes and production aircraft; and spare parts manufacture. Both companies now fall under the umbrella of the state-owned United Aircraft Corporation. Initiated in 1989 under the design leadership of Alexander Yavkin, Russian government approval for a purpose-designed water bomber was granted on 8 December 1990. Details of the project were announced, and a model displayed at the 1991 Paris Air Show. 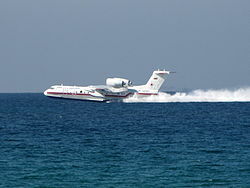 Beriev developed unique fire-fighting equipment for the Be-200, allowing it to scoop water while skimming the water surface at 90-95% of takeoff speed. 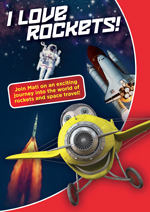 This system was developed using a specially modified Be-12P, coded '12 Yellow'. After installation of the fire-fighting system, the aircraft was registered RA-00046 and given the designation Be-12P-200. This modified Be-12 was used to develop both the fire-fighting system and methods of operation. The Be-200's first flight from land was scheduled for 1997, but was eventually achieved by the first prototype aircraft on 24 September 1998. The aircraft was then transferred from Irkutsk to Taganrog after 26� flying hours, and the first take off from water was conducted on 10 September 1999 in Taganrog. The second Be-200 flew on August 27, 2002. This aircraft was built as a Be-200ES, being fitted to the specifications of the launch customer, EMERCOM, the Russian Ministry of Emergency Situations. In 2001, as part of a marketing program, the Be-200 was displayed at two large exhibitions in the Pacific Ocean region; the International Maritime and Aerospace Exhibition LIMA'01 in Malaysia and the Korean Aerospace and Defence Exhibition KADE'01 in South Korea. In 2002, the Be-200 participated in international aviation exhibitions, successfully demonstrating its capabilities to potential customers in France and Greece with 15 demonstration flights made from land, eight from water. A total of over 7,600 km was flown across Europe. Irkut and EADS signed a memorandum of understanding in May 2002 to jointly carry out a market study and to define the conditions and costs of international certification and the logistics of setting up a worldwide after-sales service. 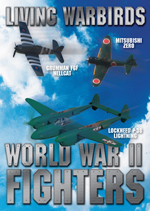 The study was completed in July 2003, revealing a potential market for up to 320 aircraft over 20 years. The two companies, with Rolls-Royce Deutschland, plan to obtain Western certification during 2008/9 and offer a Rolls-Royce BR715 powered aircraft for Western markets. This version is to be given the designation Be-200RR. The original Be-200 prototype (RF-21511) has been earmarked to be converted into the Be-200RR prototype. 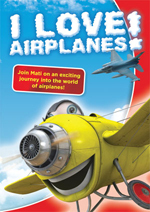 The first production aircraft, a Be-200ES flew on June 17, 2003. It was delivered to EMERCOM on On July 31, 2003. Seven aircraft have been ordered by EMERCOM, five have been delivered. The fifth airframe is being used for the European certification process which is expected to be completed in 2008. The remaining two are scheduled for delivery by the end of 2008. EMERCOM has an option to buy a further 8 Be-200s, with a decision expected during the latter part of 2008. In 2010, production of the Be-200 is due to switch to the Centre of competence for amphibian aircraft and flying boats in Taganrog. An assembly line is being set up using tooling and equipment received from Irkut's main manufacturing site in Irkutsk, Siberia. This will allow the Irkut Corporation to concentrate on other more lucrative projects. Production of the Be-200 will remain under the umbrella of the United Aircraft Corporation. Picture - The Be-200's engines are located high and to the rear in order to keep them clear of spray. The multirole Be-200 can be configured as an amphibious water drop fire-fighting aircraft, a freighter, or as a passenger aircraft - the pressurised and air conditioned cabin allowing transportation of up to 72 passengers. The Be-200 can also be equipped for special missions. When configured as an air ambulance, the aircraft can carry up to 30 stretcher patients and seven seated patients or medical crew. In the search and rescue role, the aircraft can be equipped with searchlights and sensors, an inflatable boat, thermal and optical surveillance systems, and medical equipment. The search and rescue variant can accommodate up to 45 persons. The aircraft is also capable of being configured for anti-submarine warfare duties. The aircraft is powered by two pylon-mounted D-436TP engines. The D-436TP is a specific "maritime" corrosion-resistant version of the D-436 three shaft turbofan engine, designed especially for the Be-200 amphibian, by Ivchenko Progress ZMKB and manufactured by "Motor Sich" in Ukraine. These are mounted above the wingroot pods on the landing gear fairings to prevent water spraying into the engines during take-off and landing. The Digital Flight Control (Fly-by-wire) cockpit is fitted with modern navigation systems such as satellite navigation (GPS), FMS, autopilot and weather radar. The ARIA 200-M all-weather integrated avionics system developed by Honeywell with the Moscow Research Institute of Aircraft Equipment, uses six 152 x 203 mm (6 x 8 in) LCDs to display information to the two-man crew. The Be-200 is a high-wing T-tail monoplane. the hull is of single step design with a high length-to-beam ratio, which contributes to stability and controllability in water. The Be-200 airframe is constructed of aluminium alloys with corrosion-protection treatments. Selective use is made of titanium, composites and other corrosion-free materials. The wings are fitted with underwing stabiliser floats. The hydraulically operated retractable landing gear units all retract rearward, and each unit is twin-wheeled. A water rudder provides steering in the water. The Be-200 can operate from either a 1,800 m long runway or an area of open water not less than 2,300 m long and 2.5 m deep, with waves of up to 1.3 m high. Picture - The Be-200 was operated in Greece during fires in the summer of 2007, but has yet to secure any firm orders from Europe. 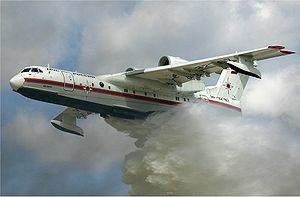 The first documented operational use of the Be-200 was from 20 August till 30 September 2004. For this period a Be-200ES was operated from Sardinia (Italy) by SOREM, the official operator of fire-fighting equipment of Italian Civil Defense Department (Protezione Civile). The aircraft, flown by joint Russian-Italian flight crew performed more than 100 flights with about 90 hours flown. During seven hours of operational flights, the aircraft participated in the extinguishing of four forest fires and dropped 324 tons of water. The partnership was renewed in 2005, with Be-200ES (Reg. RF-21512) based at Sardinia between July and September. The aircraft flew 150 hours covering 63 missions, including ferry flights, and 435 scoops and drops of water, the total mass of which exceeded 3,175 tonnes (3,500 tons). In 2006 RF-21512 was leased by the Portuguese Fire Fighting Services (SNBPC - Servix�o Nacional de Bombeiros e Protecx�x�o Civil) for evaluation during the forest fire season. On 6 July 2006, the Russian crew of the Be-200 leased by Portugal were carrying out a water pick-up from the Aguieira dam Aguieira dam near Santa Comba Dx�o, when on climbing away they clipped treetops and at least one of the Progress D-436TP engines suffered ingestion damage and had to be shut down. The aircraft recovered safely to land at Monte Real air force base, from which it had been operating. After repairs, the aircraft completed the season in Portugal. In total, 42 flights were performed during operations in Portugal, with a total flying time of 119 hours. The aircraft performed 301 water scooping operations and dropped 2,167 tonnes (2,389 tons) of water on fires. In October 2006, two Be-200ES (RF-32765 and RF-32768) were leased to Indonesia by EMERCOM, fighting fires for 45 days. This reportedly cost Indonesia around US$5.2 million. These operations prompted press reports that the Indonesian government had agreed to purchase two Be-200s, each with a projected price of US$40 million. Beriev, however has not confirmed these reports. Such was the success of the first campaign that two Be-200ES were again leased by Portugal from July 10 to September 30, 2007. During this period 58 fire-fighting flights were conducted with a total flying time of over 167 hours. 2,322 tonnes (2,560 tons) of water was dropped. Beriev claims that representatives of the newly formed Portuguese government enterprise EMA (Empresa de Meios A�reos) have expressed their interest in a long-term cooperation with Beriev and the Be-200 in Portugal. Two Be-200ES also operated in Greece, RF-32768 fighting the 2007 forest fires for the whole season and RF-21512 from August 30 to September 13. In April 2008, Azerbaijan became the first foreign customer for the Be-200, purchasing one Be-200ES from Russia. 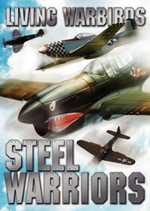 The aircraft (reg. FHN-10201 ex RF-32769) will be operated by the Azerbaijan Ministry of Emergencies and can be operated as a fire-fighting, cargo and 43-seater passenger aircraft. In July/August 2010 it was used in Russia during the wildfires that spread across the country. In early December 2010, two Be-200ES aircraft were used to fight the 2010 Mount Carmel forest fire near Haifa, Israel. Be-200RR - Designation of projected Rolls-Royce engined variant. Be-220 - Projected maritime patrol variant. ARIA 200-M integrated avionics system.